Most of you are possibly unaware, but at the minute there’s a storm raging in the farming press over the quality of beef. John Elliott is a farmer from the Borders who has built a reputation over the decades as Scotland’s top beef breeder and has been at the forefront of many new ideas and management techniques that a lot of us now use daily. In short, when Mr Elliott speaks, we listen. 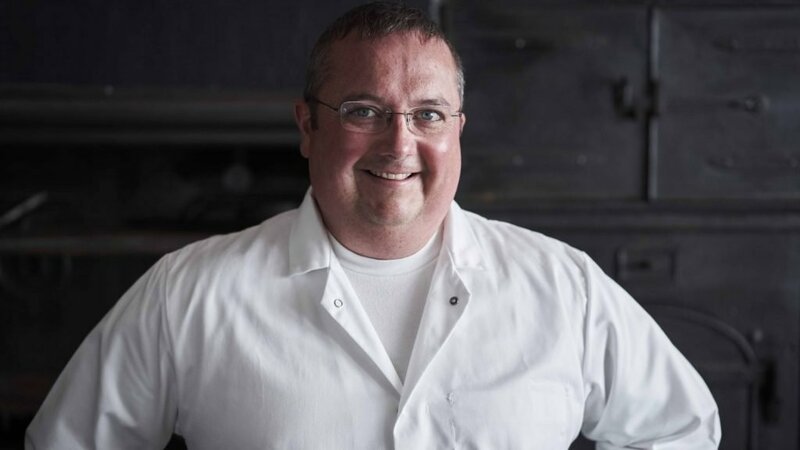 So you can imagine the gasps and the subsequent gnashing of teeth when he suggested in his column for a farming publication that just about any roadside diner in the US could serve a steak that would eclipse most of the UK’s top restaurants. Indeed, he went further – stating his belief that the beef industry in this country needs to shake itself up if it’s going to hold onto its reputation as a premier beef producing region. As a beef producer myself, you might wonder why I’m highlighting such stinging criticism. Happily, I’m confident this isn’t my Gerald Ratner moment (younger readers may have to google him….). Here at Rothiemurchus, we’re mostly out with the industry chain that affects how beef farmers produce their stock because we are among only a handful of enterprises that produce beef for sale almost entirely in-house. 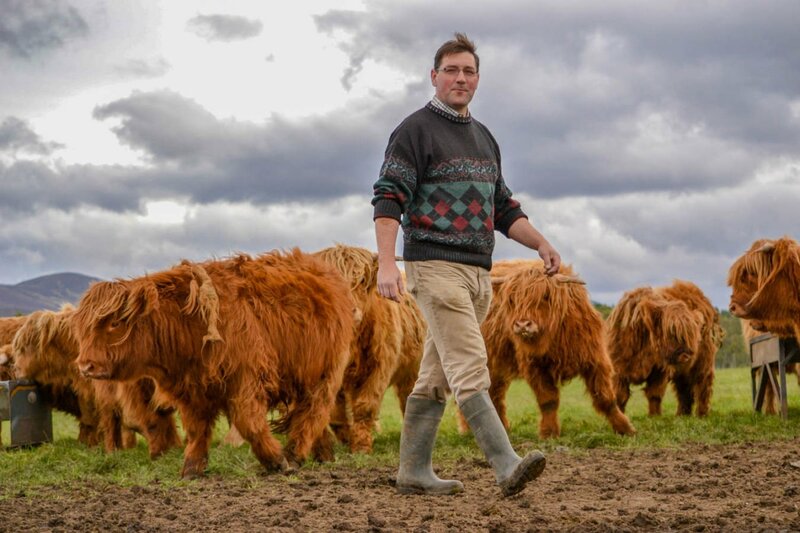 Our Highland fold of cattle dates back to the 1920s, with the herd being pedigreed and members of the Highland Cattle Society since the 1950s. We only buy in breeding bulls, with all the breeding females being born on Rothiemurchus, which means we can trace bloodlines back over 60 years. The cattle are born and reared here, grazing in the fields in the summer and spending the winter in our woods. Their winter diet is mostly grass silage with the younger ones getting some barley as well. About 95% of their winter diet is produced on the farm, with Distillers Grains (spent grains from the many whisky distilleries in Strathspey) bought in to top up the protein levels of our forage and barley. When the cattle are deemed ready for the shop, they make the short trip down the A95 to the abattoir in Grantown on Spey, the only time the cattle leave the farm. The carcass comes back to Rothiemurchus to be hung in our chill for 4 weeks before being butchered by our butchers Brian and Fraser in our own butchery department, ready to be sold in our Estate Farm Shop. We are in the fortunate position of being in control of nearly the whole process, meaning we produce beef the way our customers want it. The Highland cow is central to this. In a mainstream beef enterprise their relatively slow growth rate would be seen as a drawback but it fits into our extensive grazing system perfectly where we can utilise our wild grasses, so while intensively reared, cereal fed beef can often taste a bit bland, our grass packs the Highlander’s fine marbled meat full of flavour. Added to that, research into the nutritional benefits of purebred Highland beef suggest it is slightly higher in protein and iron and lower in cholesterol than other commercially reared beef. Our system means we can’t produce beef at the low price that intensive enterprises can, but we pride ourselves on offering beef of the highest quality and flavour. The use of traditional methods doesn’t mean we aren’t forward thinking, though. One of the advantages of having everything ‘in-house’ is the number of records we keep. For instance, not only do we record carcass weights, but we also have a break down on every cut of meat from each carcass. Because we know the most popular cuts sold in the shop, we can identify the bloodlines and breeding of the cows best suited to producing what our customers want and keep the female line as breeding stock. Gone are the days when we would choose a cow because she has a bonnie face….. But it helps! Clearly, there is much debate about Scotland’s beef industry, but I like to think Rothiemurchus is heading the right way with what we believe is top quality beef. That doesn’t mean we aren’t looking for ways to make it better, so if you’re a past customer or maybe even a future one, I’m happy to take your comments or questions by email alan.rankin@rothie.net I look forward to hearing from you. If you’d like to sample some of our delicious Highland Beef, visit us at our Estate Farm Shop in the Rothiemurchus Centre where we have a variety of cuts of beef as well as tasty home cooked pies. Open daily 9.30 am – 5.30pm.